Our Christmas baking day is underway!! 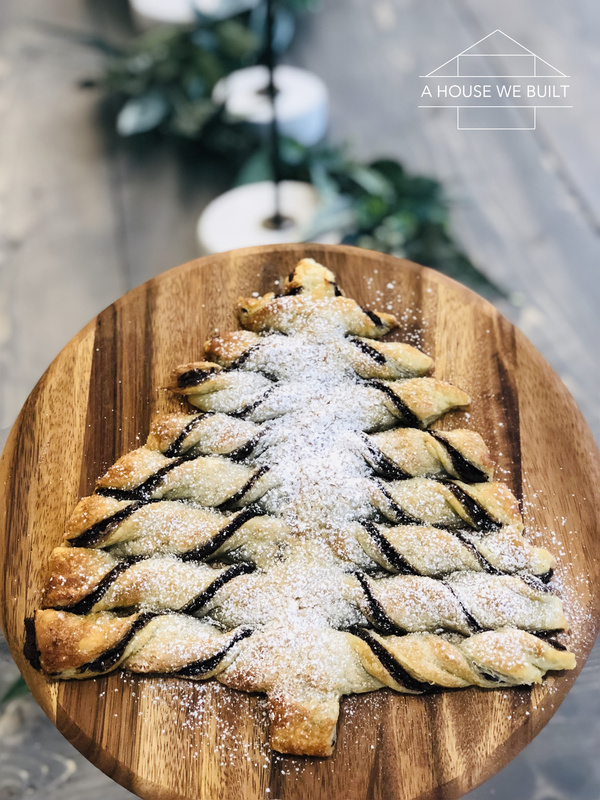 We made this quick and easy chocolate puff pastry Christmas tree while waiting for our gingerbread houses to set so we can decorate them! This was such a fun/easy and super pretty thing to bake! You need 2 sheets of puff pastry dough. Melt some chocolate (or whatever else you want to use) and spread it in a tree shape. Then add the second piece of dough on top. Cut out the triangle tree shape. 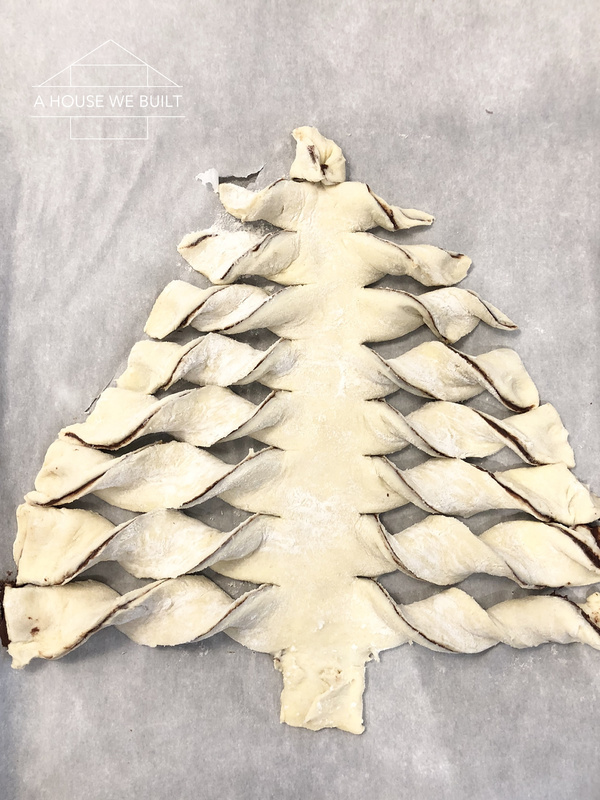 Then slice the ends on the left and right all the way up the tree and twist them. Bake at 350 for about 20 mins or until golden and sprinkle with sugar before serving!!! And I just love how our dining table garland works as a backdrop!! !